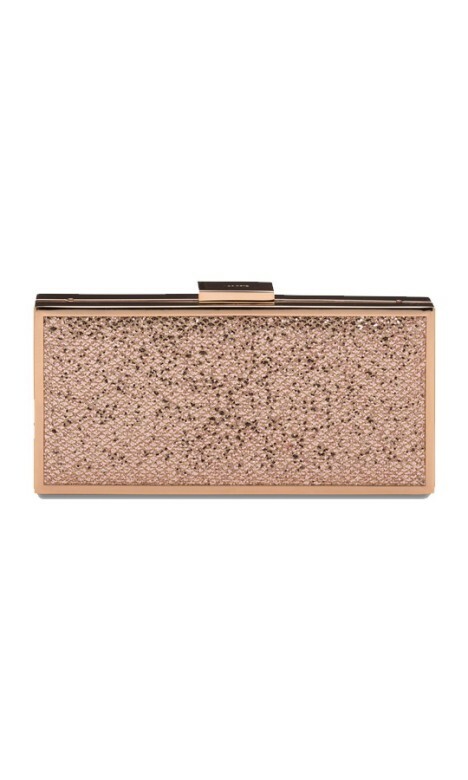 This gorgeous clutch by Olga Berg is perfect for a night out! The glitter mesh texture adds a beautiful dimensional shine. With a gold metal frame and detachable shoulder chain, slip this under your arm or over the shoulder to carry around your essentials! Hire this gorgeous clutch to complete your look, whether you're wearing a metallic mini dress, a gorgeous lace piece, or a simple little black dress - this glitter clutch is the perfect way to dress it up, perfect for a day at the races! For more exclusive style tips, check out our 'Rent a Race Day Dress' customer story!